Looking for artwork for a fun retro themed environment? 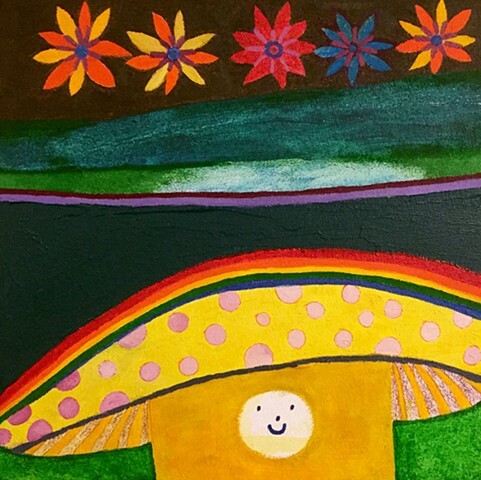 This is an original acrylic + oil painting of a yellow mushroom. This is the original painting, not a reproduction or print of this artwork. The painting is signed on the back & dated with the year. This painting is ready to hang, as well as suitable for framing.